Post Surgical. Neurological. Chronic Pain. Physio2U provides accessible physio for all with in-home sessions for privacy, comfort and convenience throughout a person’s recovery. 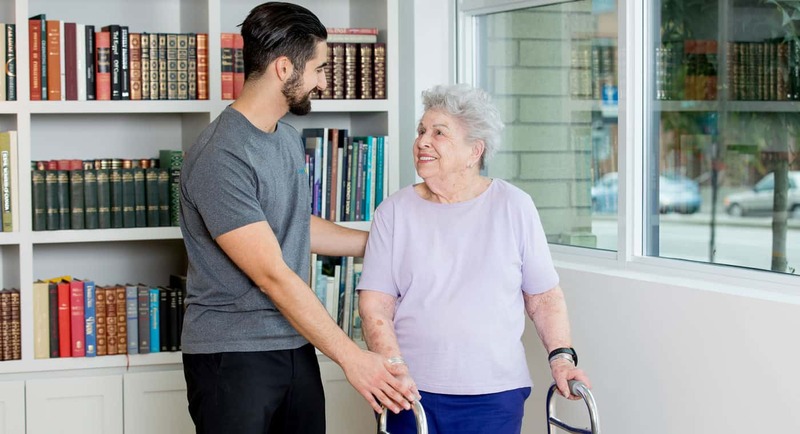 Our staff specializes in treating people struggling with mobility and strength issues due to trauma, surgery, neurological, as well as chronic health issues. Our team understands there are two sides of the care equation: the medical and the emotional. We focus on both to ensure an optimal road to recovery for you or a loved one. We come to wherever you need us within Greater Vancouver and the Fraser Valley. Helping them move more freely is just a phone call away. Our experienced team includes only licensed and insured Registered Physiotherapists. Collectively, our team has a wide range of skills and areas of expertise. We believe that in order to provide you with the best value and best service possible for your rehabilitation, you will be seen only by a Registered Physiotherapist from our outstanding team. To provide physiotherapy services that exceed expectations, the Physio2U therapists are supported by an operations team. This includes management and administrative staff with a variety of skill sets. The operations team acts with compassion, ensures provision of excellent customer service and creates a culture of continuous improvement so we can better help you. ...Client testimonial... Wonderful service. Treatments in my own home. Roy’s course of exercises helped immensely to have a positive rehab period. ...Client testimonial... I was devastated when I first got lymphedema after breast surgery. The swelling from my arm was so severe, I thought I wouldn't ever be able to wear proper clothes again. I was very worried. But after the first Manual Lymph Drainage treatment I immediately felt better and after only a few treatments, my swelling has gone down and Sam' reassurance and positivity have been life-changing for me.